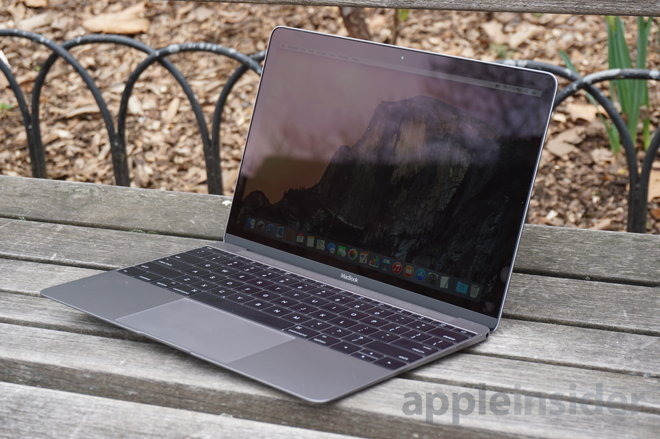 A rumor circulating in the Far East claims Apple plans to introduce a revamped MacBook Air lineup at its Worldwide Developers Conference in 2016, extending the form factor to include a 15-inch model potentially in lieu of an 11-inch version. Citing supply chain sources, Taiwanese publication Economic Daily News, which has a spotty track record of accurate Apple predictions, reported on Monday that the company is working with suppliers on an all-new MacBook Air series due to launch at next year's WWDC. Of note, instead of keeping the thin-and-light lineup's familiar 11- and 13-inch screen sizes, sources say Apple intends to completely overlap its MacBook Pro line all the way up to a 15-inch model. Going even further, the distinguishing 11-inch MacBook Air might get nixed altogether. Economic Daily News quizzically believes this year's 12.9-inch iPad Pro launch means there is a "big chance" that the 11-inch MacBook Air will be scrapped. Apple is supposedly working out final designs and is in discussions with partner suppliers as part of that process, but sources say to expect a completely new aesthetic. Inside, the 2016 MacBook Air is said to pack new battery packs, cooling modules, panels and more into a revamped metal chassis. Aside from those sparse details, the publication's sources shared precious little else before descending into banal "thinner, lighter, faster" claims, invariably safe bets for contemporary Apple prognosticators. While a reshuffled MacBook Air lineup is a possibility, today's rumor smacks more of a long-awaited MacBook Pro refresh. Apple's top-of-the-line MacBook Pro laptops currently come in 13- and 15-inch flavors and are due for a redesign. A similar scenario played out last year when Apple's supply chain began leaking information about what would ultimately become the 12-inch MacBook with Retina display. At the time, sources claimed the 12-inch laptop would receive MacBook Air badging. Based on its current MacBook products, which come with 11-, 12-, 13- and 15-inch screens, it seems unlikely that Apple would muddy the waters by axing the smallest screen size in favor of doubling up on the top end. If the rumor holds true, however, Apple would be selling one 12-inch laptop, three 13-inch devices —iPad Pro, MacBook Air and MacBook Pro —and two 15-inch models.